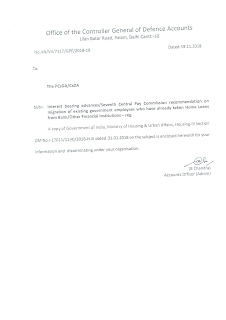 Sub:- Interest bearing advances/Seventh Central Pay Commission recommendation on migration of existing government employees who have already taken Home Lones from Bank/Other Financial Institutions – reg. 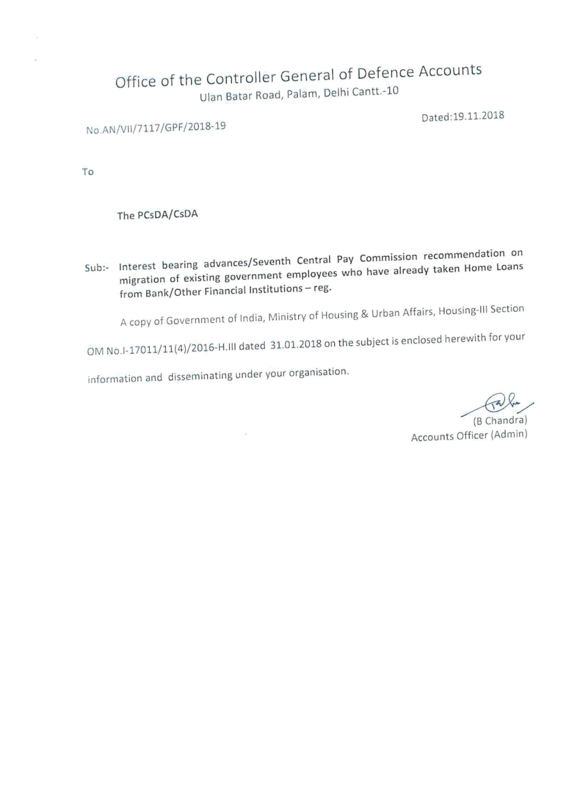 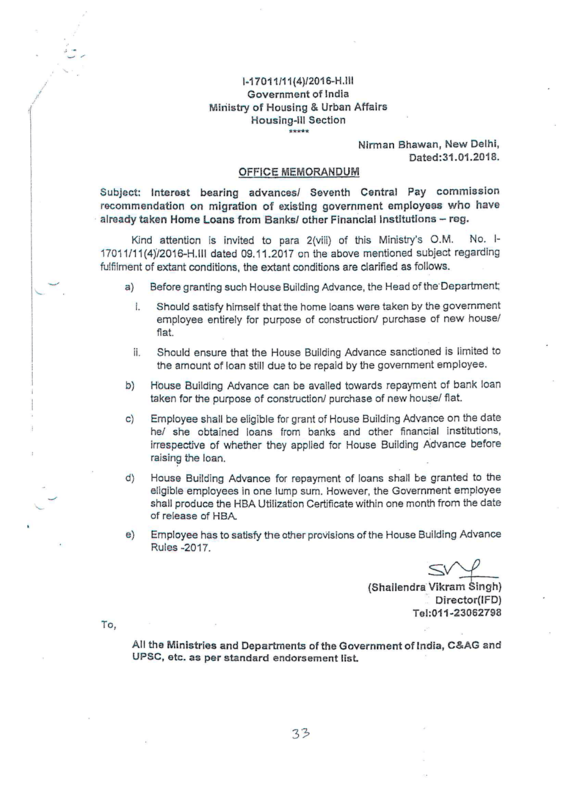 A copy of Government of India, Ministry of Housing & Urban Affairs, Housing-III Section OM No. 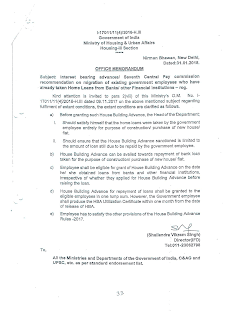 I-17011/11(4)/2016-H.III dated 31.01.2018 on the subject is enclosed herewith for your information and disseminating under your organisation.